The new large SUV ŠKODA KODIAQ expands the brand’s model range. The car – 4.70 m in length, featuring up to seven seats and the largest boot in its class – celebrated its world premiere in Berlin on 1 September 2016. The Kodiaq range starts from just $44,490 MRP plus on-road costs. Best Large SUV of the Year 2017, What Car? Many Kodiaq reviews have compared the Kodiaq to more common competitors, with one also addressing the entry-level Kodiaq’s ‘small’ 1.4L engine and explaining how it more than holds its own against SUVs with larger (more fuel hungry) engines. Others back-up the common mantra that this is the best possible option on the market today, whether for private use or as part of a corporate fleet. Basically, it comes down to this: If you want a medium large SUV that has more mod cons than anything else in the sub-$80k sector and delivers the best practicality of anything around, for the best money, then this car cries out for your attention. Fully integrating ŠKODA’s celebrated design language, the Kodiaq’s exterior neatly combines elegant lines, sporty contours and a feeling of robustness. Built on the Volkswagen Group’s modular transverse matrix (MQB), the Kodiaq is 4,697 mm long, 1,882 mm wide and 1,676 mm tall (including roof rails), while the wheelbase measures 2,791 mm. Although the Kodiaq is a completely new model, it is unmistakably a ŠKODA. The styling is characterised by clear, precise and clean-cut lines – typified by a distinctive, highly recessed shoulder line. Double horizontal lines on the front convey a feeling of protection and strength while the wide, three-dimensional radiator grille is framed on either side by a pair of raked double headlights. ŠKODA has implemented their modern, clear, expressive design language in the cockpit and the interior. At the same time, the images highlight the brand’s high and uncompromising standards in terms of functionality and build quality. 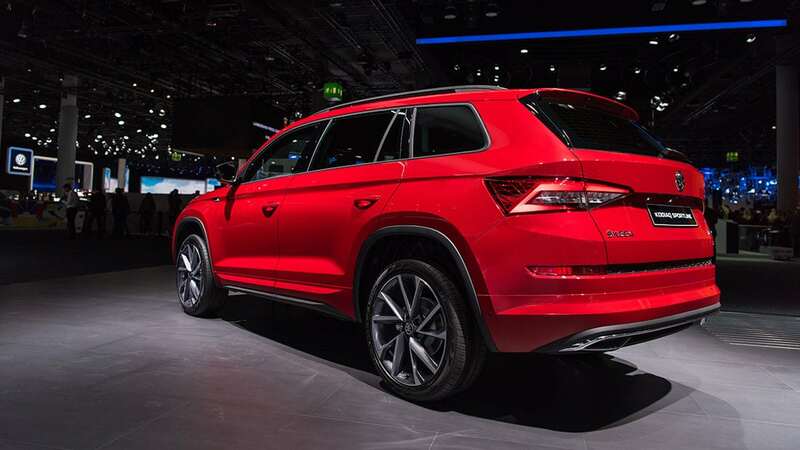 ŠKODA is once again setting new standards in interior space: The ŠKODA KODIAQ features the largest boot in its class and is optionally available as a seven-seater. The interior of the ŠKODA KODIAQ is powerful and robust, yet welcomes passengers with a friendly character. 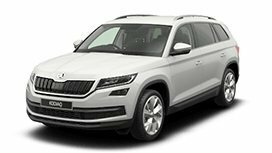 As with all ŠKODA models, the KODIAQ is modern and elegant whilst meeting the functional requirements of an SUV. Every detail conveys clarity and calm; form and function are harmonised. As buyers have come to expect from ŠKODA, the Kodiaq is brimming with Simply Clever features designed to make life on board even easier. 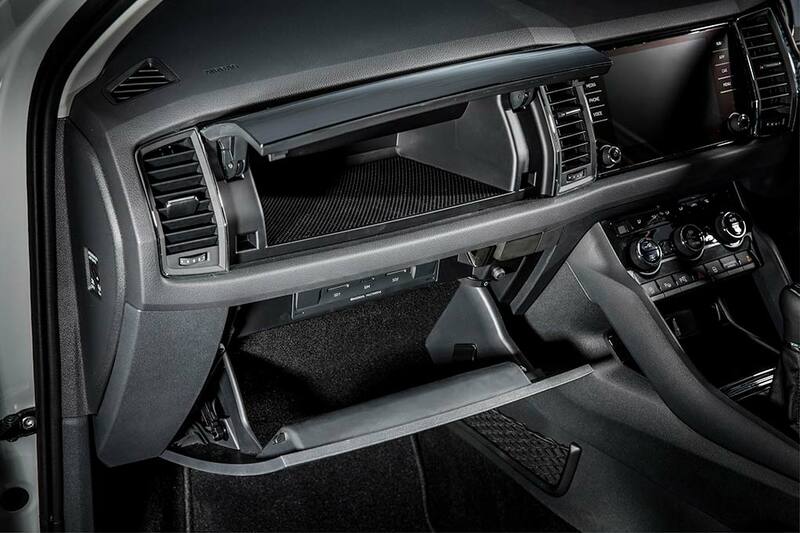 These include a new door-edge protection system that deploys automatically when opening the door. When shutting the door, the trim folds itself back in. In total, more than 30 Simply Clever features have been integrated into the new Kodiaq, seven of which are completely new. The expressively and elegantly designed dashboard is uncluttered. It is divided into two symmetrical zones for driver and passenger. Distinctive vertical elements, such as the four large air inlets characterise the interior. The middle ones flank the on-board monitor. Their edges run along the top of the instrument panel and form a trapezoid, which reflects the ŠKODA KODIAQ’s bonnet. The large display has an elegant glass design with ‘Simply Clever’ operation – logical and intuitive. All switches and functions are easily accessible with a self-explanatory layout. 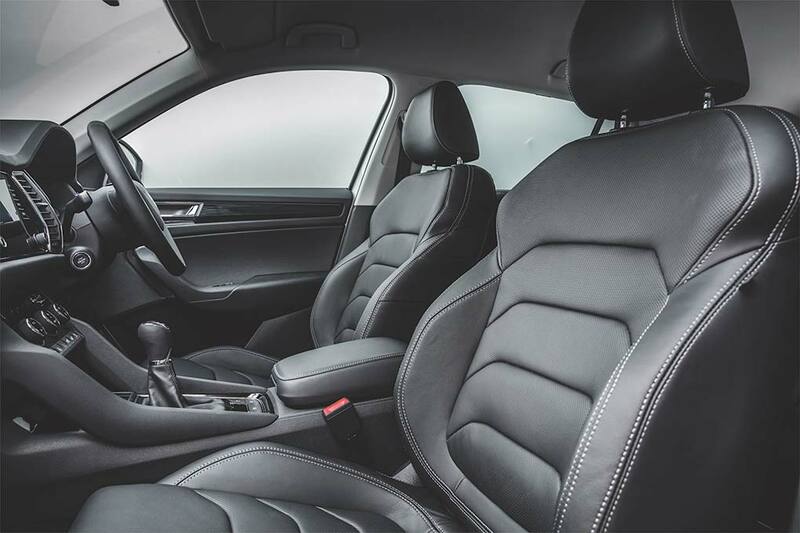 The seats are made of high quality materials, offering the driver and front passenger superior comfort. 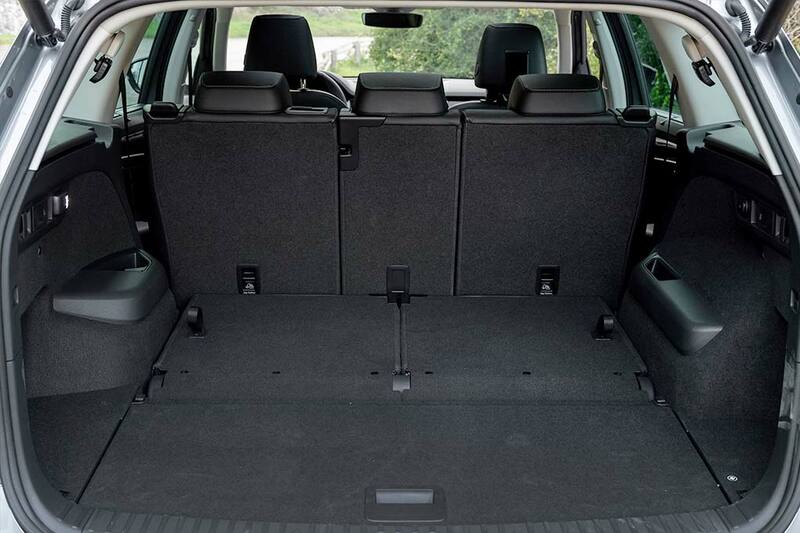 With a volume of 720 to 2,065 l (5-seater with the rear seats folded down), the ŠKODA Kodiaq offers the largest boot within its class and if the optional folding passenger seat is chosen, the SUV can transport items up to 2.80 m long. 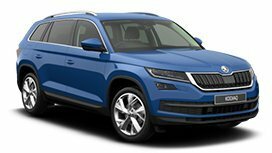 The dynamic and emotive nature of the Kodiaq is best emphasised by the Sportline model. The car offers an aesthetic experience as well as pure driving pleasure, making the everyday even more exceptional. This dynamic variant of the largest SUV from ŠKODA has characteristic black design elements such as the grille and exterior rear-view mirror covers. 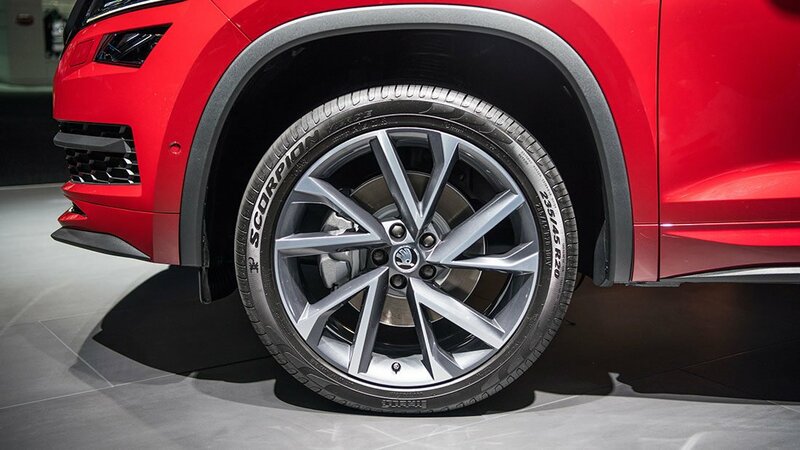 The light alloy wheels also feature an anthracite finish. 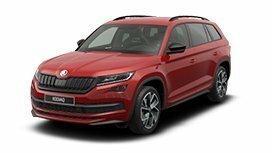 “The 2018 Tow Car champ is the Skoda Kodiaq, in SE L 2.0 TDI 4×4 DSG guise. Skoda has taken home plenty of accolades this year, and the Czech brand collected another one as the Kodiaq SUV was voted by the Caravan and Motorhome Club as Tow Car of the Year for 2018. The SE L 2.0 TDI 4×4 DSG model won the overall crown after undergoing thorough testing at the Millbrook Proving Ground in Bedfordshire and passing with flying colours. 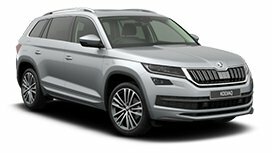 “The Skoda Kodiaq is our Top Car for 2017. It’s the Czech brand’s first-ever seven-seat SUV and an outstanding effort. Award-winning, even. Very much a car for the times, of course: the Kiwi love affair with these types of high-riding vehicles seems to know no bounds. 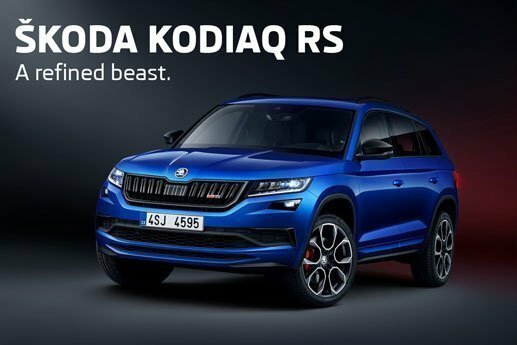 But Kodiaq is so much more than that. The value for money throughout the range is astonishing. …as it stands the comfort and compliance of the chassis is nicely balanced to communicate with the driver while still keeping occupants cocooned. Did we mention you can get an optional Sleep Package with cushioned head restraints, roll-up rear sunshade and “sunset” glass? ŠKODA kicked off 2017 with another remarkable haul of titles at the annual What Car? Awards. 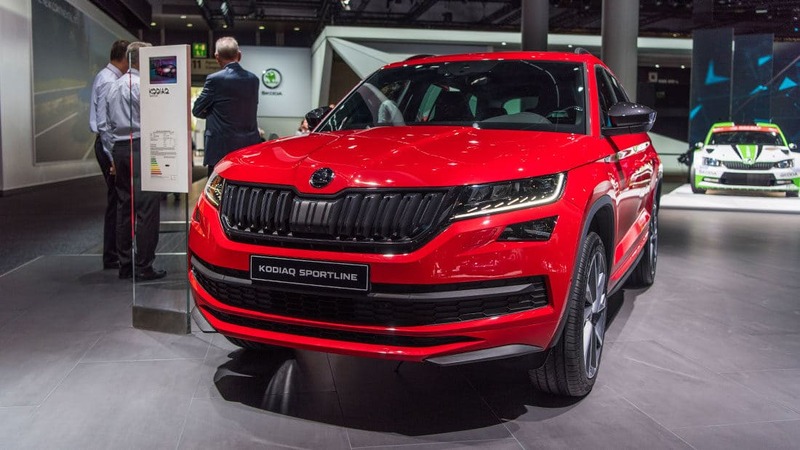 The all-new Kodiaq – along with the Fabia Hatchback and Superb Estate – won its category at the ceremony widely regarded as the ‘Oscars’ of the automotive world. 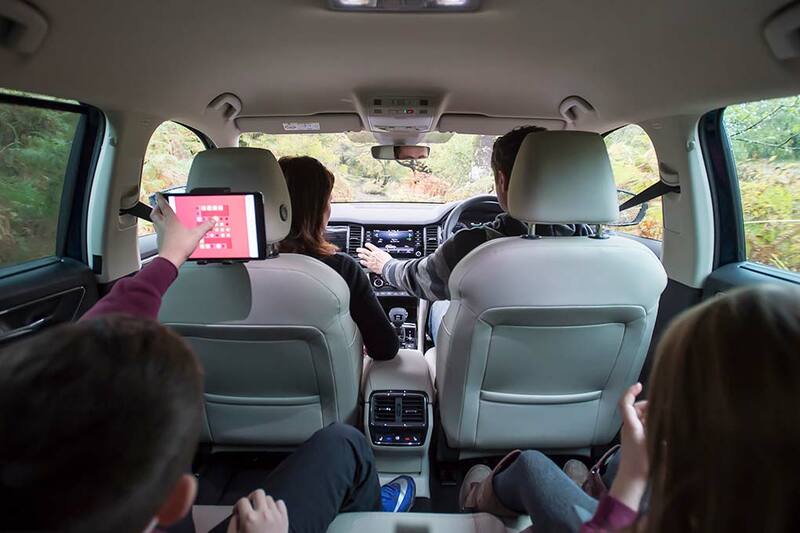 Top Gear were so impressed with the new Kodiaq – ŠKODA’s first ever seven-seater – that they named it Best Family Car in the title’s Best Cars in the World issue. The Kodiaq saw off tough opposition to take the title, with the judging panel heaping praise on the new model’s design, practicality and incredible value for money. Please note that imagery and specifications may be of overseas vehicles.